Second Horn, London Symphony Orchestra. Studied at Chethams School of Music with Lizzie Davis; Guildhall School of Music and Drama with Richard Bissill, Jeffrey Bryant, Jonathan Lipton and Hugh Seenan. Horn: Alexander 1103. 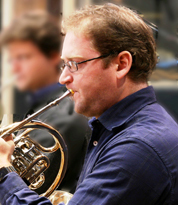 Principal Horn, Philharmonia Orchestra; Head of Brass, Royal College of Music. 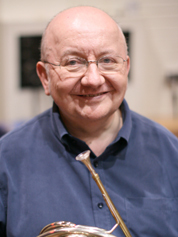 Formerly Principal Horn, Orchestra of La Scala Milan; Co-principal Horn, London Philharmonic Orchestra; Third Horn, Royal Philharmonic Orchestra. Recital with Vladimir Ashkenazy (Octavia Exton Records); Schumann Konzertstück with Philharmonia Orchestra (Deutsche Grammophon); soloist, The London Horn Sound (Cala Records CACD0112). Studied at Royal College of Music with Douglas Moore. Horn: Paxman 40. 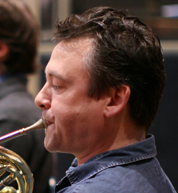 Professor of Horn, Guildhall School of Music and Drama; Horn Tutor, European Union Youth Orchestra; Fellow of the Royal Academy of Music; Fellow of the Guildhall School of Music and Drama. 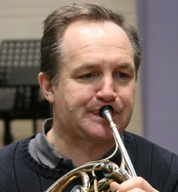 Formerly Principal Horn, London Symphony Orchestra; Principal Horn, Royal Philharmonic Orchestra; Principal Horn, Bournemouth Symphony Orchestra; Co-principal Horn, London Philharmonic Orchestra; Head of Brass and Professor of Horn, Trinity College of Music. Mozart Horn Concertos with Royal Philharmonic Orchestra (Tring Records); Britten Serenade for Tenor, Horn and Strings with Royal Philharmonic Orchestra (RPO Records); Guildhall Horn Soloists (Cala Records CACD1036); Tippett Sonata for Four Horns (EMI). 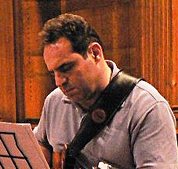 Studied at Royal Academy of Music with Ifor James. Horn: Paxman 40. 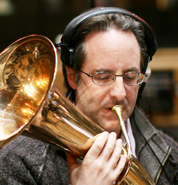 Solo Horn, The Michael Nyman Band. Formerly Principal Horn, Royal Opera House Covent Garden; Principal Horn, City of Birmingham Symphony Orchestra; Principal Horn, BBC Concert Orchestra; Co-principal Horn, London Philharmonic Orchestra; Third Horn, BBC Scottish Symphony Orchestra. 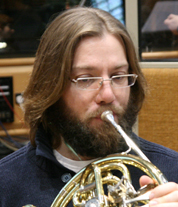 Under The Influence (Quartz Records); Wagner tuba soloist, The London Horn Sound (Cala Records CACD0112); soloist in movie soundtracks such as Band of Brothers, Stargate and Phantom of the Opera. 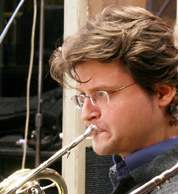 Horn: Engelbert Schmid B flat Horn. 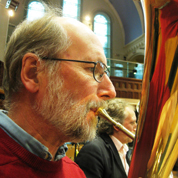 Fourth Horn, London Symphony Orchestra; Professor of Horn, Guildhall School of Music and Drama. 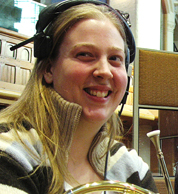 Formerly Second Horn, Ulster Orchestra; Fourth Horn, BBC National Orchestra of Wales; Studied at New York University with James Chambers and Howard T. Howard. Guildhall Horn Soloists (Cala Records CACD1036). Horn: Conn 28D. Second Horn, Philharmonia Orchestra. 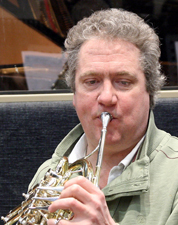 Formerly Second Horn, Royal Philharmonic Orchestra. Studied at Royal Irish Academy of Music with Victor Malirsh; Royal Northern College of Music with Michael Purton, Derek Taylor and Robert Ashworth; Guildhall School of Music and Drama with Jeffrey Bryant, Anthony Halstead and Hugh Seenan. Horn: Alexander 103. 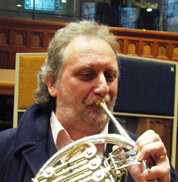 Principal Horn, BBC Symphony Orchestra; Professor of Horn, Trinity College of Music; Professor of Horn and Fellow of the Royal Academy of Music. Formerly Principal Horn, Royal Philharmonic Orchestra. Britten Serenade for Tenor, Horn and Strings with Scottish Ensemble (Linn Records); Mozart Horn Concerto No.4 with Royal Philharmonic Orchestra (RPO Records). Studied at Royal Academy of Music with Richard Watkins and Pip Eastop. Horn: Alexander 107. 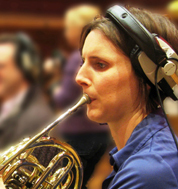 Principal Horn, Royal Philharmonic Orchestra. 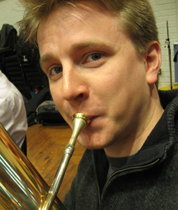 Formerly Third Horn, London Philharmonic Orchestra; Solo Horn, Fine Arts Brass. Studied at Chetham’s School of Music with Lizzie Davies; Guildhall School of Music and Drama with Richard Bissill, Jeffrey Bryant and Hugh Seenan. 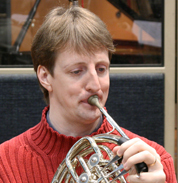 Horn: Yamaha 668. Second Horn, Royal Philharmonic Orchestra. 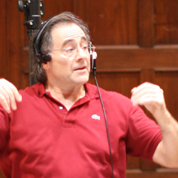 Studied at Guildhall School of Music and Drama with Richard Bissill, Jonathan Lipton and Hugh Seenan. 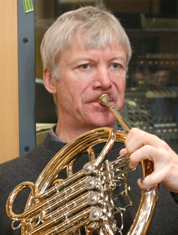 Horn: Paxman 25. 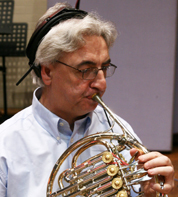 Professor of Horn, Guildhall School of Music and Drama; Fellow of the Guildhall School of Music and Drama. 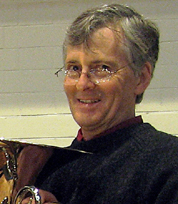 Formerly Principal Horn, London Symphony Orchestra; Principal Horn, Royal Scottish National Orchestra; Fifth Horn, Royal Philharmonic Orchestra; Honorary Chairman, British Horn Society 2000-2005. 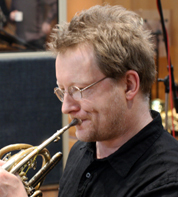 Soloist, The London Horn Sound (Cala Records CACD0112); Guildhall Horn Soloists (Cala Records CACD1036); soloist on two albums with London Symphony Brass (Regis Records); Tippett Sonata for Four Horns (EMI). 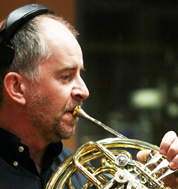 Played on over two hundred movie soundtracks, including solo horn on Aliens, Braveheart, Gladiator and The Mask of Zorro. 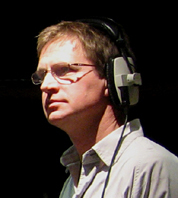 Studied at Guildhall School of Music and Drama with Anthony Chidell, David Cripps and Anthony Halstead. Horn: Paxman 45. 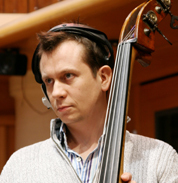 Bass Player, Ronnie Scott’s Jazz Orchestra. 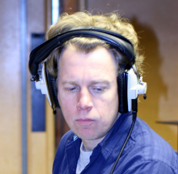 Performed with the BBC Big Band, Guy Barker, Alan Barnes, John Dankworth, Gwyneth Herbert, John Horler, Bob James, Dave Kekowski, Billy Kilson, Joe Lock, Clair Martin, Gary Novak and Robbie Willams. 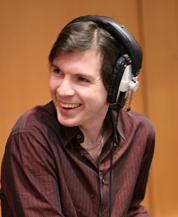 Studied at Guildhall School of Music and Drama. Jazz Guitarist. Sideman, bandleader, composer and recording artist. Co-founded the jazz orchestra Loose Tubes. Performed with John Abercrombie, Dave Holland, Lee Konitz, Kenny Wheeler and Norma Winstone.